BEIRUT — Two attacks Friday near a Syrian town just captured by Turkish forces and Syrian opposition fighters from the ISIS killed at least 60 people, including two Turkish soldiers, Turkey's news agency and Syrian activists said. The attacks took place as the terrorist group was retreating from one of its last strongholds in northern Syria. A suicide car bomb went off outside a security office run by the Syrian opposition north of al-Bab. Most of those killed were civilians who had gathered to return to the town that had been liberated from ISIS the day before. But at least six fighters were among those killed in the attack, according to Turkey's prime minister, who spoke in Ankara. According to Mohammed al-Tawil, a leading Syrian opposition fighter north of al-Bab, a suicide attacker blew up his pick-up truck outside a security office in Sousian village, about 5 miles north of al-Bab. 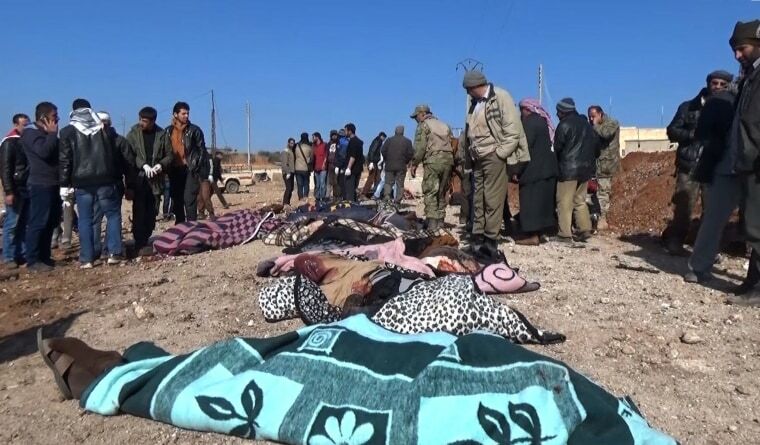 Al-Tawil said the explosion went off as the opposition fighters were organizing the return of civilians to al-Bab. "These people have suffered a lot," al-Tawil told The Associated Press in a telephone interview from Sousian. "They have been waiting for this moment" to return home. Al-Tawil, a member of the opposition al-Bab military council, said about four fighters manning the checkpoint were killed. He said the rest of the casualties were civilians. Al-Bab, which had been controlled by ISIS since late 2013, was captured Thursday, after more than two months of fighting by Turkish troops and Syrian opposition fighters. The militants still control areas around the town. Al-Tawil said at least two groups of about 150 civilians had already left early Friday for al-Bab. Hours later, a second explosion — the one in which the two Turkish soldiers were killed — was reported south of al-Bab, Turkey's military said. The military said the two were killed when an explosive device went off as they were removing land mines. But the Turkish Prime Minister Binali Yildirim called the explosion a "suicide attack." It was not immediately possible to reconcile the accounts, the Associated Press said.